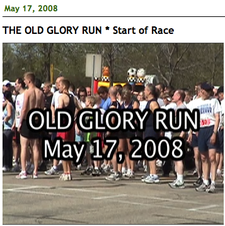 The Old Glory Run is a first time event held earlier this month that attracted over 700 racers from across the state running a 5k and 1K race in Cold Spring, Minnesota. In this story, we meet Curt Karls, one of the race organizers, who tells us about how the race came to be. We're also introduced to John Swanson, a military veteran who lost his leg in the war and is now running again on his artificial leg with his 8 year old son. 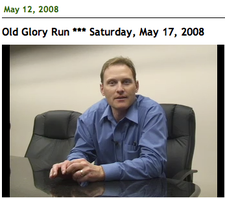 John was one of the key inspirations that brought the race idea to the forefront. Finally, we also meet the group of men and women who ride motorcycles and carry US flags in support our soldiers and veterans. One special part of this story includes the start of the 1K race where 150 kids of all ages take off together from the starting line. We even get a quick glimpse of the winning boy and girl crossing the finish line. Many disabled veterans will enjoy a better qulaity of life because of this event and those who participated! !